It's nearly here! One of our most anticipated events of the year! 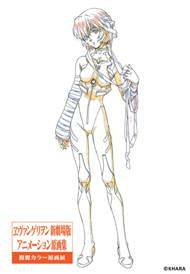 The 2013 Evangelion Art Exhibition is only a couple of months away so put it in your diary. Not only will there be a whole bunch of art on display, but you will also be able to stock up on exclusive merchandise which will be available at each stop. So don't just put it in your diary, also START SAVING! Evangelion has been a fan favourite since its release and was an introduction to anime for many an anime geek so needless to say, this exhibition is kind of a big deal. Follow on for more information. Madman Entertainment presents, in conjunction with NTV Films, Groundworks and the Japan Foundation Sydney, the 2013 EVANGELION ART EXHIBITION Australian Tour. With exhibition partners, The Arts Centre Gold Coast and No Vacancy Gallery, Melbourne, this exclusive exhibition will offer anime/manga, sci-fi and pop culture fans of all ages a unique and extensive insight into how the famed EVANGELION animated films were created – showcasing a collection of original concept and production art, character drawings and other key artefacts that provide a rare and fascinating glimpse at the behind the scenes artistry of Japanese anime film production. A variety of rare and valuable EVANGELION books, tapestries and other items will also be on display at the exhibition and a limited selection of EVANGELION: 3.0 YOU CAN (NOT) REDO merchandise will be available for purchase. These items were previously only available in Japan in conjunction with the cinema campaign for EVANGELION: 3.0 YOU CAN (NOT) REDO and are exclusive to the EVANGELION ART EXHIBITION TOUR. The exhibition will be on display at the Arts Centre Gold Coast from 17th April – 5th May, followed by Sydney at the Japan Foundation Gallery from May 10th – May 18th (Open Monday – Saturdays, 11am-4pm), and finally in Melbourne at No Vacancy Gallery from May 27th – June 9th. For more information on the EVANGELION ART EXHIBITION TOUR, visit madman.com.au/eva.